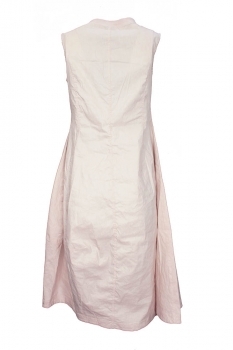 Rundholz Black Label stretch fabric, sleeveless, pinafore style dress in light, pastel rose colour. Round neck with knitted ribbed trim on sides and rear. 2 pockets in seams. Panel construction with seam details and 'A' shaped. 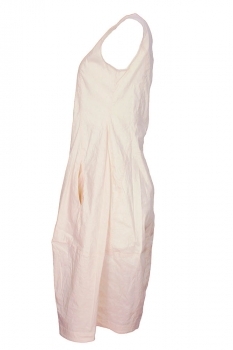 A beautiful summer dress in a wonderful fabric.